Zion National Park seems to be a favorite of almost everyone who has visited the park. 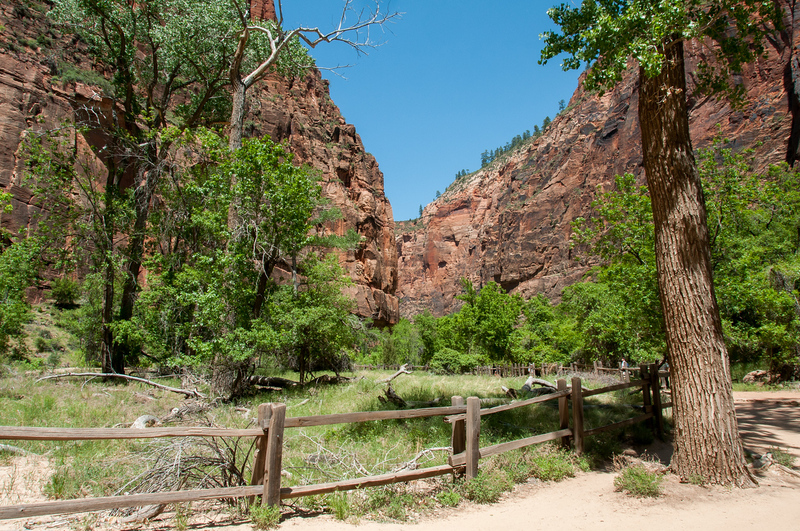 The heart of the park is Zion Canyon which was cut by the Virgin River. The result is a stunning landscape created by the combination of mountain, valley, and river. One of the things which makes Zion so popular is that it is easily accessible from Las Vegas, which is only a 2-hour drive away. 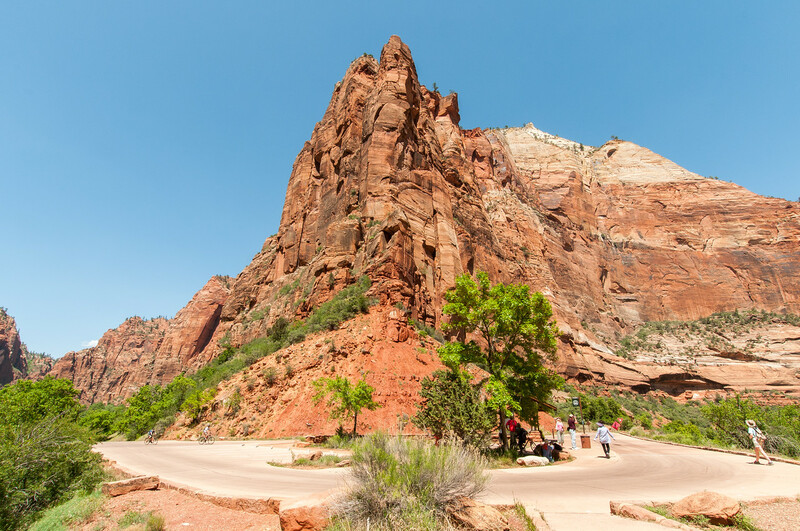 In fact, you could visit Zion on a day trip from Las Vegas and there are several companies which offer such trips. I visited Zion as part of my 2011 travel photography tour with G Adventures. We only spent a day in the park and I would love to return to spend more time photographing the Zion Canyon. 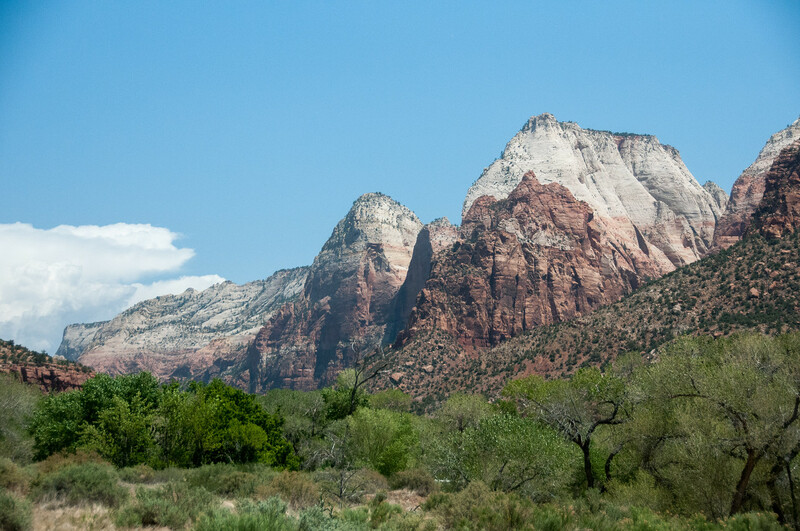 The geological formations in Zion National Park make it one of the most popular national parks in Utah. There are 9 known geological formations in the park known as the Grand Staircase. According to experts, this geological formation took about 150 million years to develop. In addition to impressive geological features, Zion National Park is also a haven for biological studies. The Colorado Plateau, Great Basin, and Mojave Desert converge at Zion National Park’s Kolob Canyons. This area features a variety of topographical features such as varying soil types, diverse habitat, and canyon-mesa country. The rocky ledges, canyon bottoms, and overall desert conditions mean that there are mostly prickly pear cactus, rabbitbrush, and sagebrush that grow here. In addition, there are animals that roam in the park during daytime such as desert cottontails, gray foxes, jackrabbits, kangaroo rats, pinyon jays, collared lizards, and mule deer. Due to the popularity of Zion National Park, there are plenty of accommodation options available for tourists who wish to stay longer. The Zion Lodge is an example of that – it is located about 3 miles to the north of Zion Canyon Scenic Drive. It is open all year round. There are also plenty of dining options such as the Castle Dome Cafe or the Red Rock Grill Dining Room. Both are located in Zion Lodge. There are additional lodging and dining options outside the park itself. 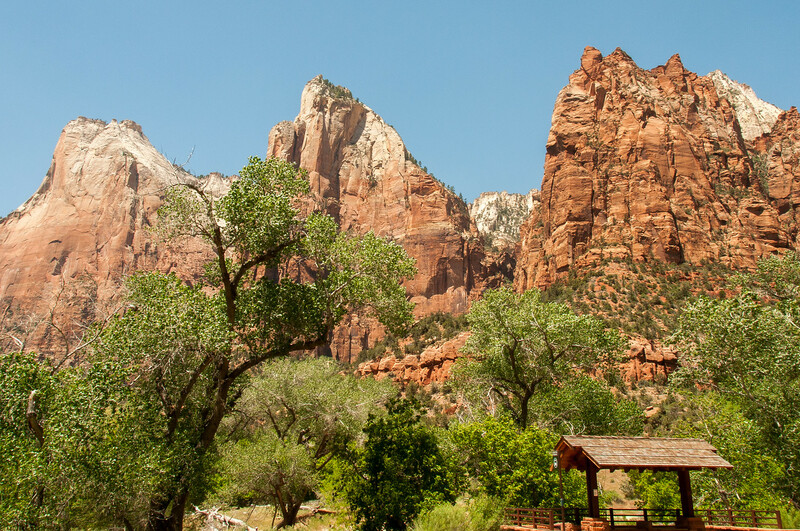 Meanwhile, for those who are adventurous enough, there are three campgrounds available within Zion National Park. These campgrounds are open for reservation from March to November.